I hope you had a great Thanksgiving and a rewarding Black Friday. We had a great holiday with my family and spent the rest of the day getting our house back in working order. You'd be amazed at how quickly it turns into disaster zone when we are shipping orders and working all week. We may work from home, but really we just make messes at home. On Friday Soren watched the kids so I could go shopping with a few of my best friends. It was so refreshing to get out, browse and catch up with girlfriends. We had some luck at Old Navy and the Gap. Knox has been busting out of all of his 12-18 month pants lately so I refreshed his wardrobe and also grabbed some new jeans and red heels for me. I did at least buy one gift while we were out so I'll consider it a successful Christmas shopping trip. As you know today is Small Business Saturday. 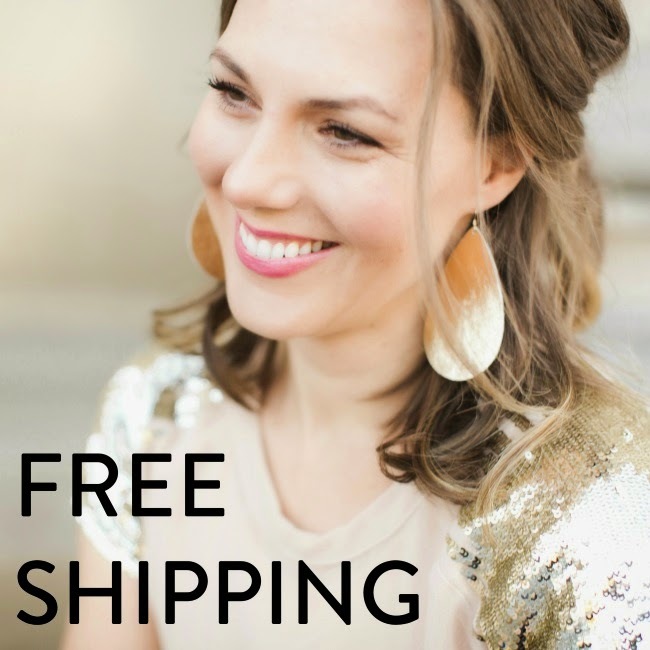 I'll be doing some shopping and wanted to let you know that we are offering free shipping on all domestic orders today at Nickel & Suede. This is our last sale on our site this year so take advantage if there is anything you haven't purchased yet! Did you go shopping this weekend? Are you waiting for Cyber Monday?